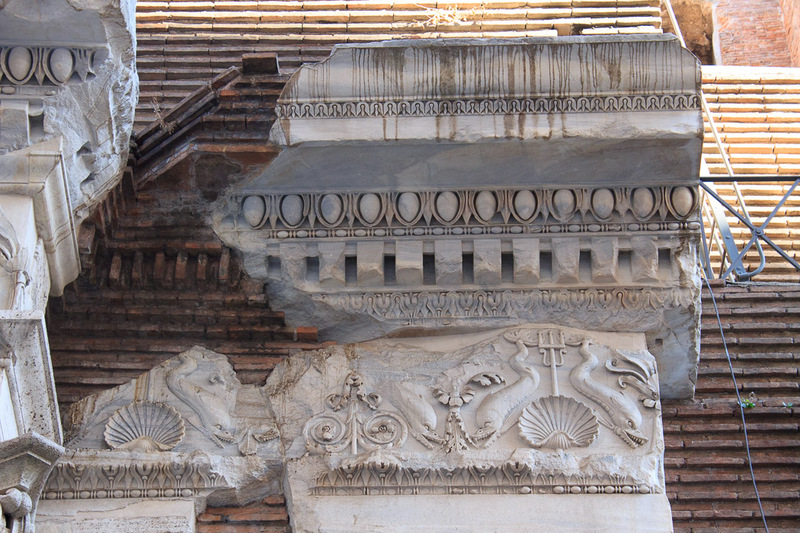 The Basilica of Neptune was a basilica built by Agrippa in 25 BC in honor of the sea god Neptune to celebrate his naval victory at Actium against Mark Antony and Cleopatra. 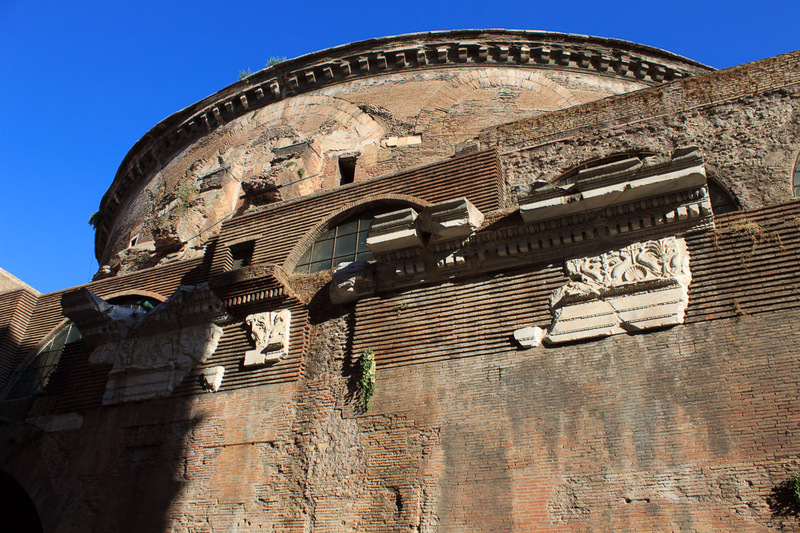 The remains of the northern wall of the basilica, restored under Hadrian after the fire of 79 AD can be seen on the back outside wall of the Pantheon. 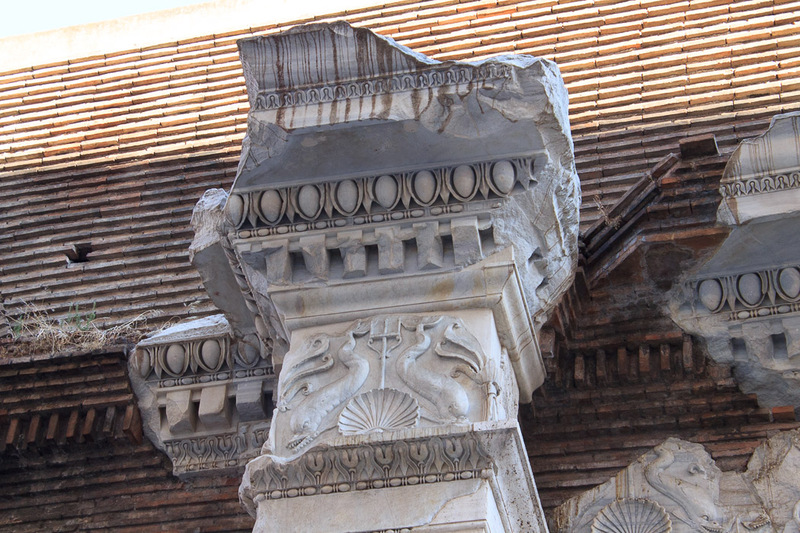 The intricate decorations with dolphins, tridents and shells is a clear reference to the god of the sea. 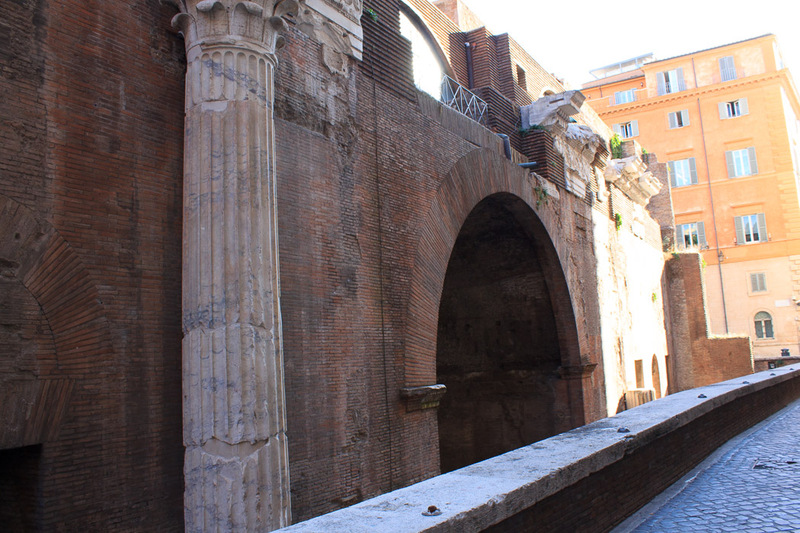 The Basilica of Neptune was part of a large construction project in the Campus Martius undertaken by Agrippa and Augustus between 33 BC and 25 BC which included the Pantheon, the Saepta Iulia, and the Baths of Agrippa. 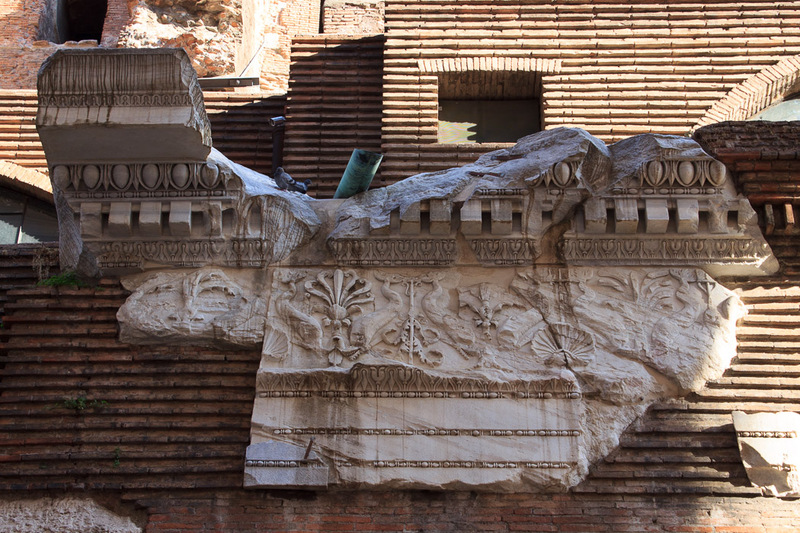 The Basilica was not a temple but rather a meeting hall or classroom, similar to the Basilica of Maxentius. 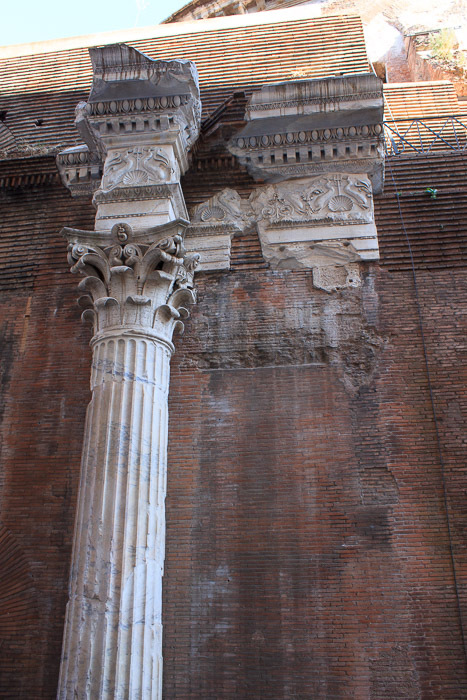 See all Basilica of Neptune photos.